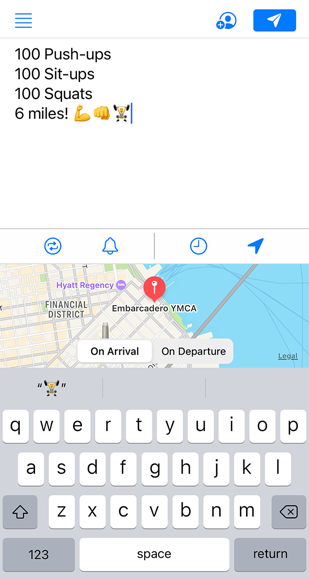 Type a message, select a time or location, and press send. That's all! 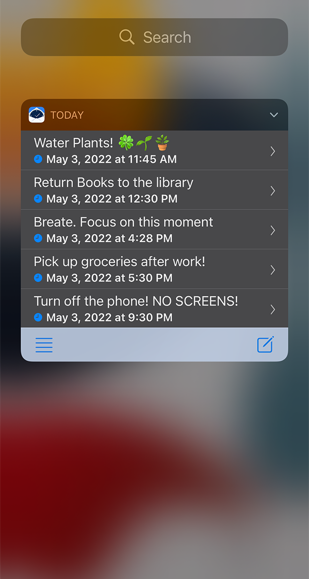 Your message will appear in the future as a notification reminder. The HiFutureSelf iOS app is FREE in the App Store. HiFutureSelf is not a to-do list. There are no checkmarks or badges. No need to stare at your phone. The messages arrive as notifications to your iOS device just in the moment, right when you need them. 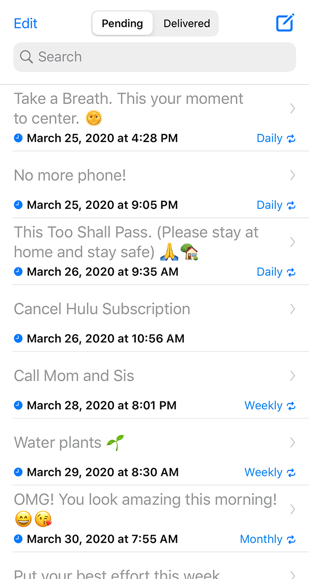 HiFutureSelf is designed for your everyday tasks, like picking things up at a grocery store, motivation to encourage yourself to do another lap, or just remembering to text a friend. With one swipe you can preview the future messages and reminders scheduled for today. The HiFutureSelf Today widget is available from your iPhone/iPad lockscreen. 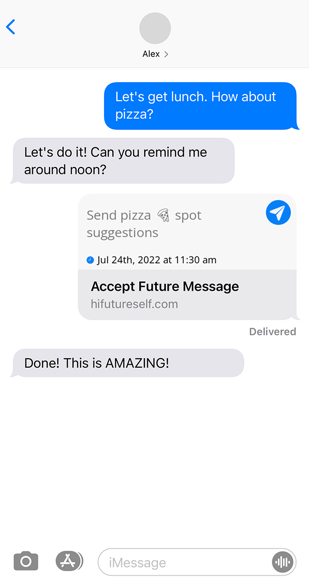 Invite friends to future message notifications with the HiFutureSelf iMessage app! 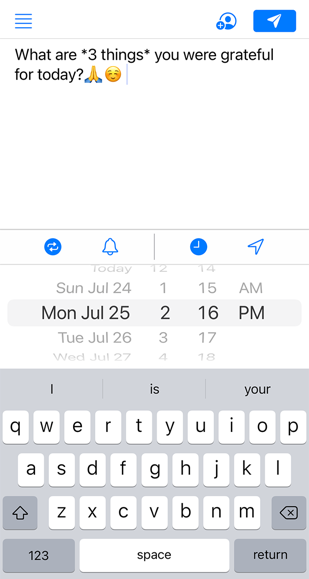 Works just like calendar invites, and is a great tool to help your forgetful friends.